I'm literally counting the days to Alex & Jenn's wedding in March. These two are so amazing and I'm incredibly grateful to be the one to witness and capture their special day in all its glory (stay tuned for that!). 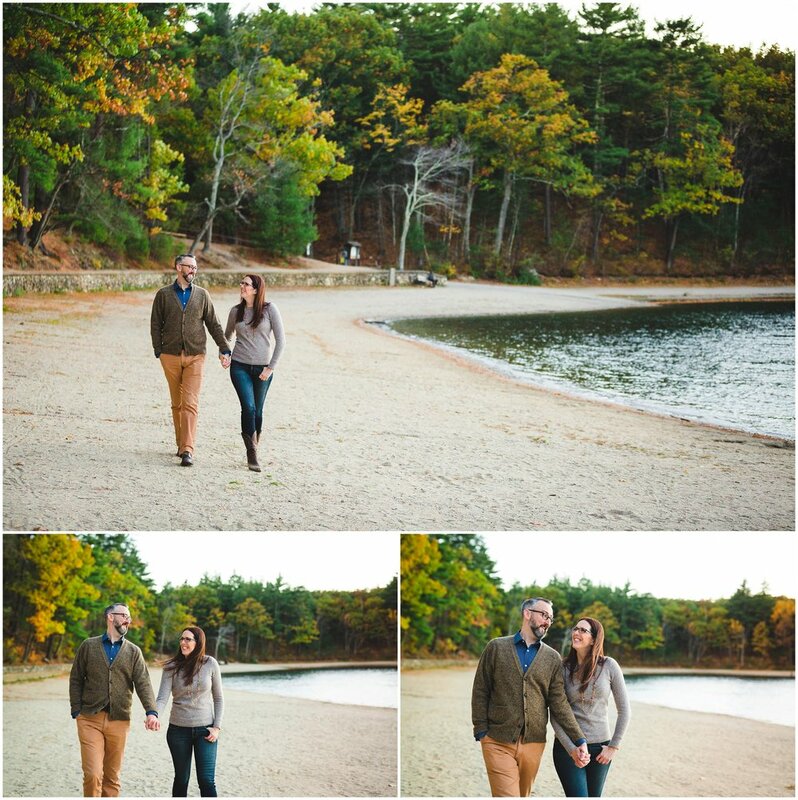 The three of us met at Walden Pond, a new favorite engagement spot of mine! We explored the trails around the pond, while talking about the what's in store for the big day. I had a blast getting to know these two a little bit more, making me more and more excited for their wedding! Besides getting to photograph an amazing couple, this engagement session was really interesting; I learned a decent amount of history about the pond, Thoreau's cabin, and even saw a few chipmunks! Alex & Jenn were so photogenic & relaxed throughout the entire shoot, making it easy for me to pose and photograph them with the vibrant fall foliage in the background. There's nothing better than a New England Fall. If I could choose, I'd shoot all my engagement sessions in the Fall, you know what, I'd even choose for it to be Fall year round. I haven't figured out to do that yet, so for the time being, check out Alex & Jenn's engagement photos below, and stay tuned for their big day in March!